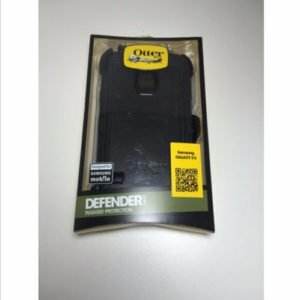 New Opened Box Black Otterbox Defender iPhone 7 Case provides heavy duty protection against drops, dust and damage without taking away from the usability of your phone’s features. 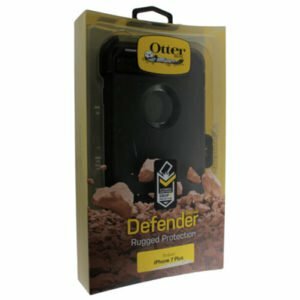 Defender Series case offers triple-layer protection and is built from a high-impact polycarbonate shell, durable silicone slipcover and a built-in screen protector, making it one of the toughest cases on the market. This is why we called it Defender. 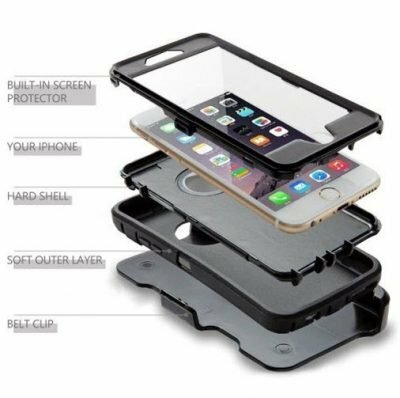 A built-in screen protector, withstands scratches, drops, bumps and shock. Worry less while you’re on the job. 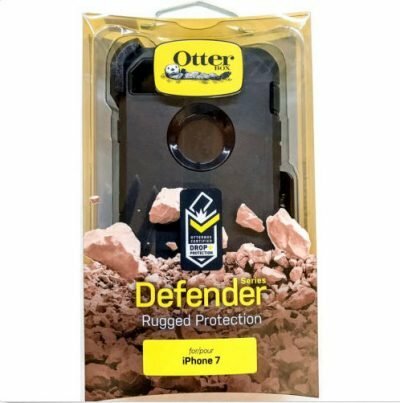 Defender Series for iPhone 7 combines three ultra-tough layers to guard your device against serious drops, dirt, scrapes and bumps. 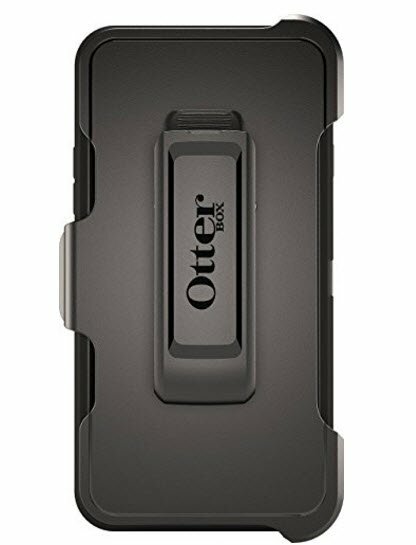 The built in screen film stops display scratches, plus the included holster gives you the quick draw on calls and texts. 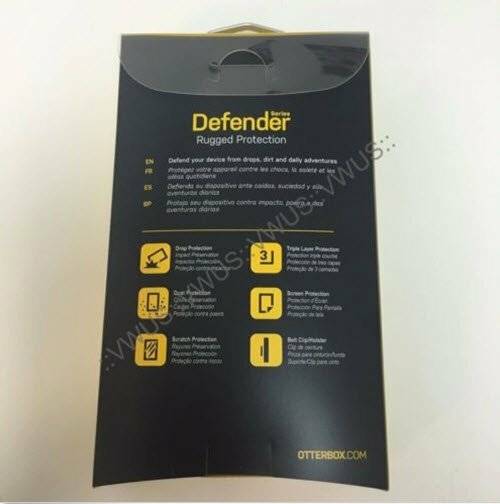 Defender Series works hard to protect your device. 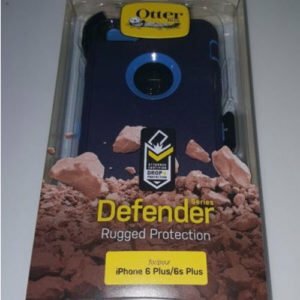 Defender Series is your phone’s first line of defense against drops, falls, impacts and the rugged world outside. 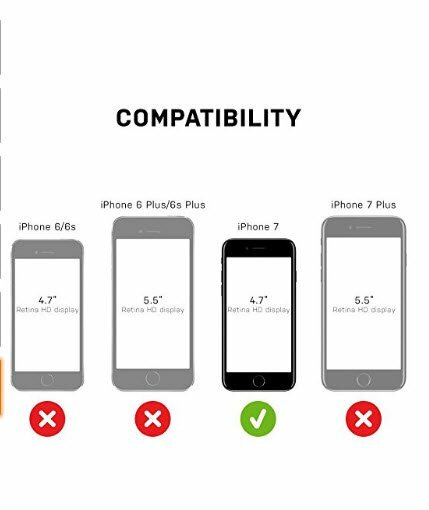 Condition Note: This item is new, but packaged in a plain box instead of the retail box. 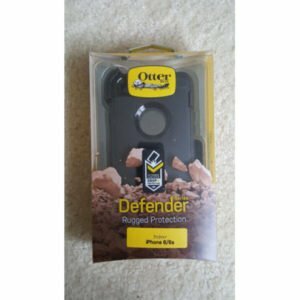 This item is purchased this way in bulk from the manufacturer to be able to offer lower pricing. The item has not been used in any way. Shipping Detail: All shipping originates from either 93013, 77407, 77083, 77082 or 77272 zip code. Shipment will be either UPS, FedX or USPS. Some larger items will ship via UPS Ground service. Orders are generally shipped on the day after full payment, if ordered before 3 pm Central Time. Return Policy: 30 Day Money Back or Exchange. Buyer Pay Return Shipping. In the unlikely event that a return is request, all returns must include all original items undamaged, in re-saleable condition, all original packaging including manuals, warranty forms, etc. Software sales are not refundable. Shipping and handling fees are not refundable. Buyer is responsible for shipping costs incurred shipping products back.